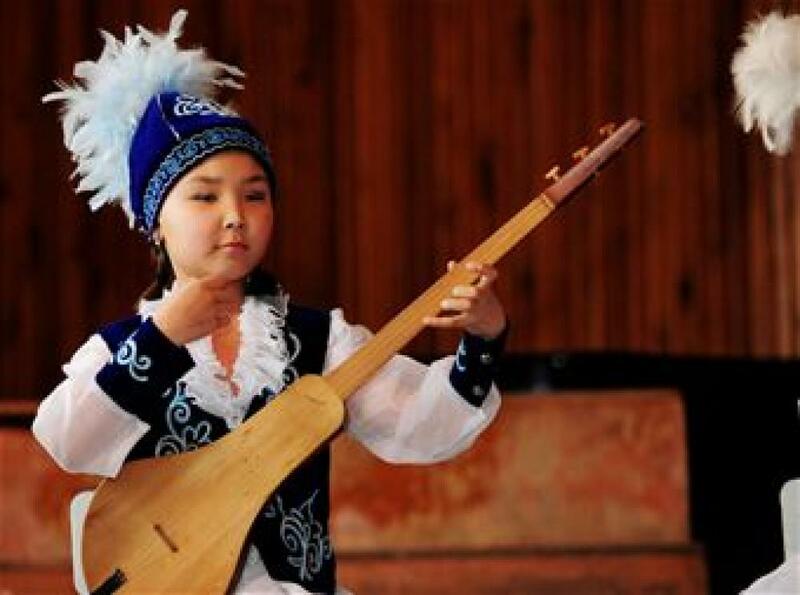 Music plays an important part in traditional Kyrgyz society. There’re working songs, lullabies, love songs, ballads, celebratory and ritual music. Music conjured up a wide range of images, from heroics with dramatic (epic) effects to the beauty of natural scenery and various domestic themes. Traditionally the nomadic Kyrgyz’ musical instruments were simple. They were made from materials readily available and easy to transport. The main instruments of Kyrgyz are komuz and the temir komuz. Komuz is a three stringed instrument similar to a guitar, ukulele and mandolin. But there’re a lot of other instruments as the kyl kyyak (stringed instrument, a small violincello-like instrument), jygach ooz lomuz (reed instrument, made from wood), surnai sybyzgy (wind instrument), kerney (brass instrument) and others. Many of these instruments have retained their traditional form; others have been adapted to modern circumstances. Some of them you can see on the reverse of the 1-som note. Skilled akyns often combined poetic talent with quick jokes. There’s also competition between 2 or 3 akyns. The winner was the one considered by the audience to have demonstrated the most musical skill, rhythm, wisdom and wit. It’s a bright competition that is very interesting not only for locals but tourists. 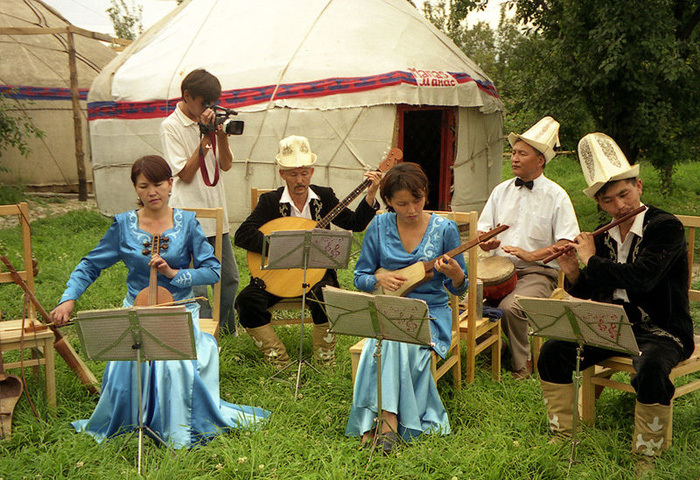 Traditional Kyrgyz music was written down only when Kyrgyz came into the Russian sphere of influence. Until then it had been handed down from generation to generation aurally.